Ben has three roles within Macclesfield Masters: he is one of the regular speedy swimmers in lane 8 at Macclesfield, he is the current Men’s Club Captain and also coach of the Wednesday night sessions in Bollington. 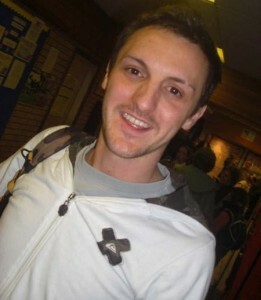 Ben is a fully qualified swim coach who puts his experience as a competitive swimmer to good use within his sessions. His enthusiasm is infectious and if you want some tips/sessions to bring on your competitive speed, the Ben is the man!